As we all know, there are multiple video streaming sites on the web that will provide you with various videos for watching, collecting to your account on that site or sharing with others. However, almost all of them don’t allow people to download videos for offline enjoyment. If you wonder how to download via URL, you are in need of an URL video downloader to do this without hassle. Following are some recommendable utilities for can use. Stream online to find a video to download and go to the webpage of Video Grabber. Copy the video URL and paste it to the download field, then Click “Download”. Install “Launcher” once a window pops up to remind you. In the results returned by the app, choose one kind of output video format at your will, then right-click “Download” to start downloading. Wait a few minutes until it finishes the procedure. After that, you can enjoy the downloaded video as you like. 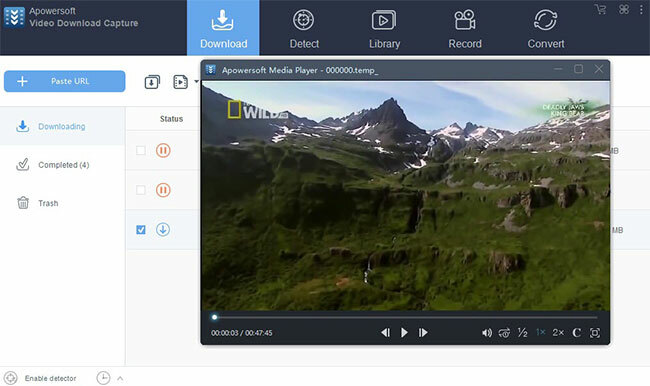 If you want to look for a more reliable and powerful tool to grab video via URL, then Video Download Capture is the most perfect program for your concern. 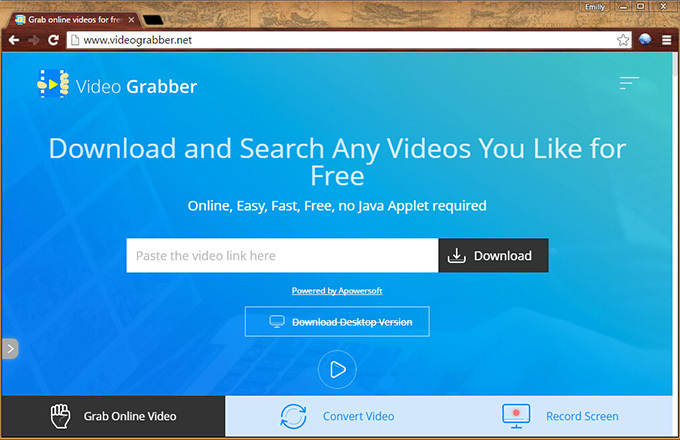 It is the advanced desktop version of Video Grabber app, which can help you grab videos from almost all the video hosting sites online without hassle. To download video off the web by URL, below are three methods provided by this program. 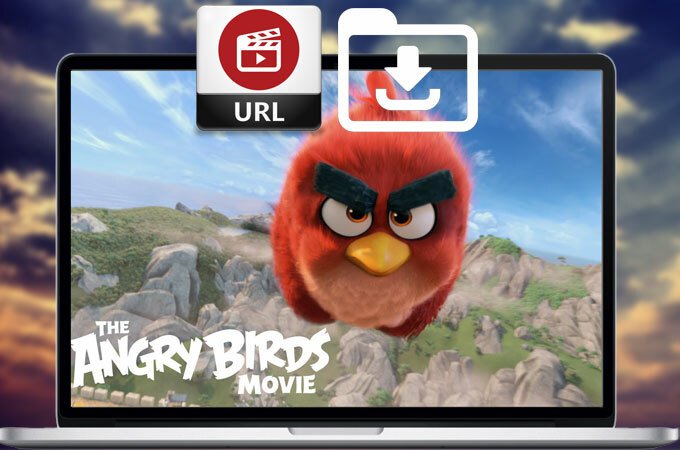 This utility features a video detector which enables you to download the video by detecting its URL automatically while playing the video online. Without having to copy and paste URL manually, this video detector will detect out the video that is playing right now and add it to the download list automatically. It also features a built-in browser for you to surf and download videos if you prefer along with the downloading process. That makes it more convenient to grab video offline for enjoyment. Since it is a desktop software, you should download it by clicking the below download button before grabbing videos online. Then install and launch it once done. Search your favorite video, copy the link address and then press the button “Past URL” of the program. If you want to download multiple videos via URL in batch, you can click “Add batch URLs” and then paste those URLs into the blank box, and then hit “OK” button. There’re rich output options for you to convert downloaded videos on this program for selecting such as MP4, FLV, 3GP, etc. It is also feasible for you to choose the resolution according to your need. It supports to download video in high quality which even can provide you with 720p, 1080p. It takes a while to finish the downloading the process. After that, you can check the video by playing it with the built-in media player directly. The last function that you can use to download video via URL is advanced video detector, which is able to let you download online videos that are streamed by HTTP, FTP, RTMP and many other video resources platforms. To use this function, you need to copy the video URL and paste it to the upper search box. Then just click “Enter”, it will start to download the video effectively. Apart from downloading videos from web, it also can be utilized as a screen recorder and video converter. As for recording screen, it is available for you to either record screen or record only audio at your will. Just click “Start” and choose the recording region and you can record as long as you want. When it comes to converting videos, it is simple as well. “Add” the video that you want to convert and select the output profile according to your need, click “Start” to do the conversion. All in all, Video Download Capture is indeed an all-around program that works efficiently. Generally viewing these two URL video downloaders talked above, each of them has its own unreplaceable features that show their superiorities. 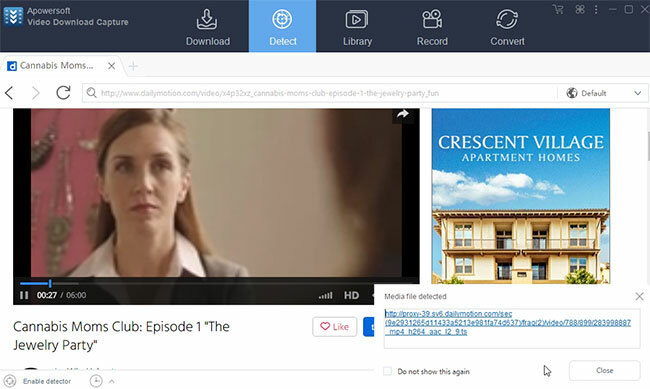 Video Grabber is able to download video via URL online in a fast and free way, while Video Download Capture enables you to grab video off the web in a more stable and reliable mode. Anyhow, hope you could find a desirable one that fits your requirements perfectly. Rating: 4.7 / 5 (based on 25 ratings) Thanks for your rating!